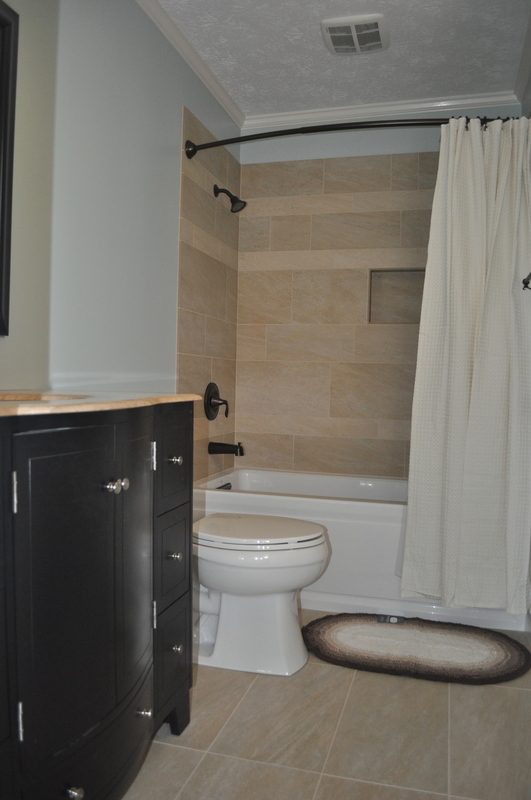 Bathroom Renovations are what Breitzke Carpentry excels in the most. 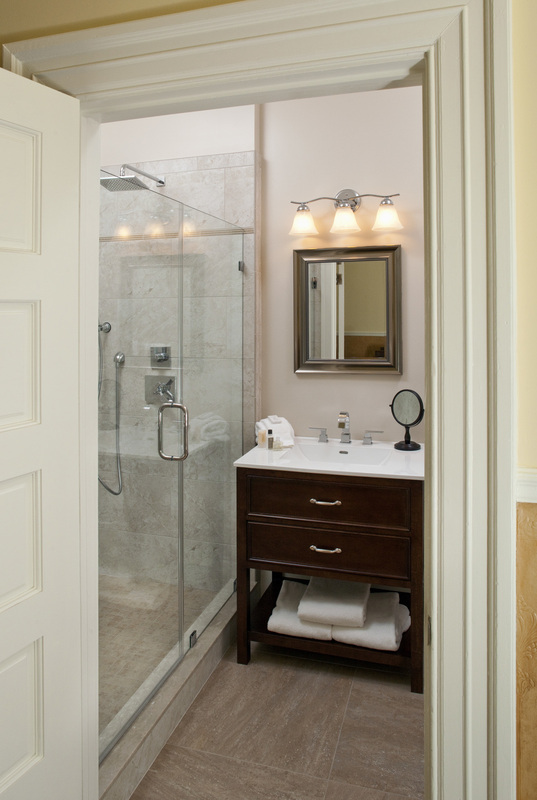 We have done bathroom remodels in a multitude of different styles. Every bathroom is designed specially for the personality of clients as well as the house. We go to great lengths to blend the new into the old so the remodel appears seamless. Breitzke Carpentry takes pride in the fact that we do a majority of the work ourselves and subcontract very little. We are extremely talented in all aspects of the building process from start to finish. We will help design your new bathroom, pick out the fixtures and tile that will complement one another as well as the style you are trying to achieve, and will complete the job in a way that outshines your expectations. Wheeler Residence. This jet tub is surrounded by a very modern smooth porcelain tile that is contrasted as well as complimented by the natural slate tile floor. This bathroom is an oasis in a rustic setting. Wheeler Residence. Sapele vanity, designed and built by Breitzke Carpentry, lightly rests on the edge of the tub to offering towels to the bather. Southern Living Idea Home Davidson Gap. 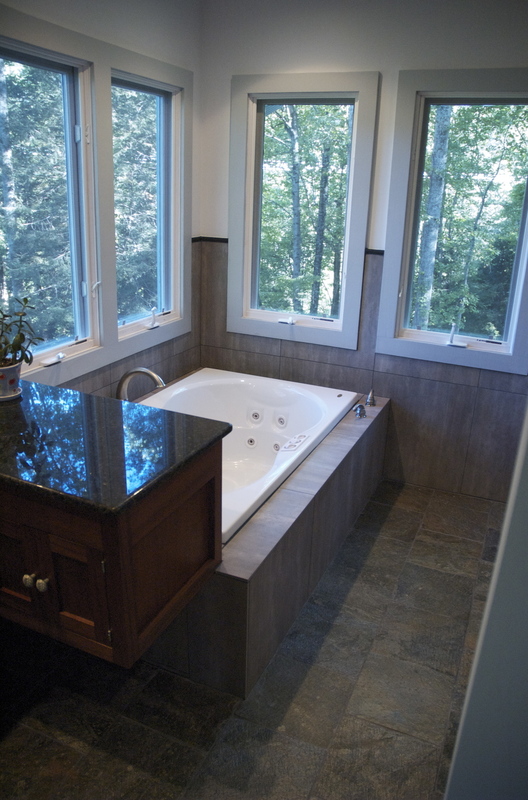 Soaking tub in the master bathroom. This photo shows how precise we are with tile layout. Notice how the grout line extend from the floor up the side of the tub, also how clean the corners look. 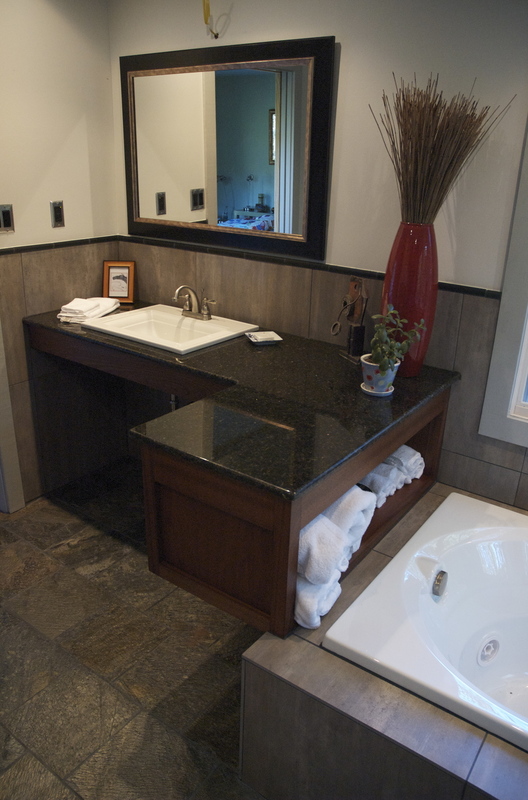 Custom walnut mirrors crafted to match walnut vanity that sits atop 24"x24" porcelain tile. Old Oak bathroom at the Albemarle Inn Asheville, North Carolina. Murdock Residence. 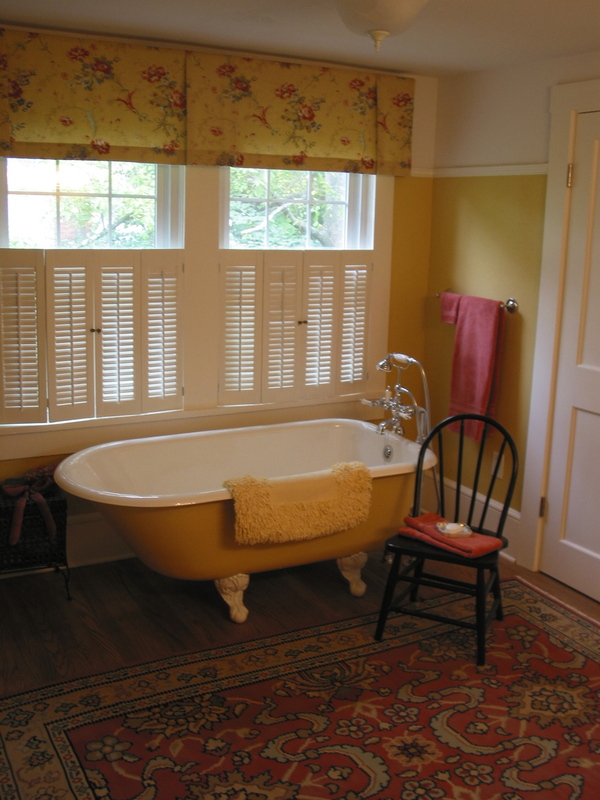 A second bedroom was converted to this stunning master bath designed to match the original style of the house. A simple yet elegant bath with jet tub and porcelain tile surround. 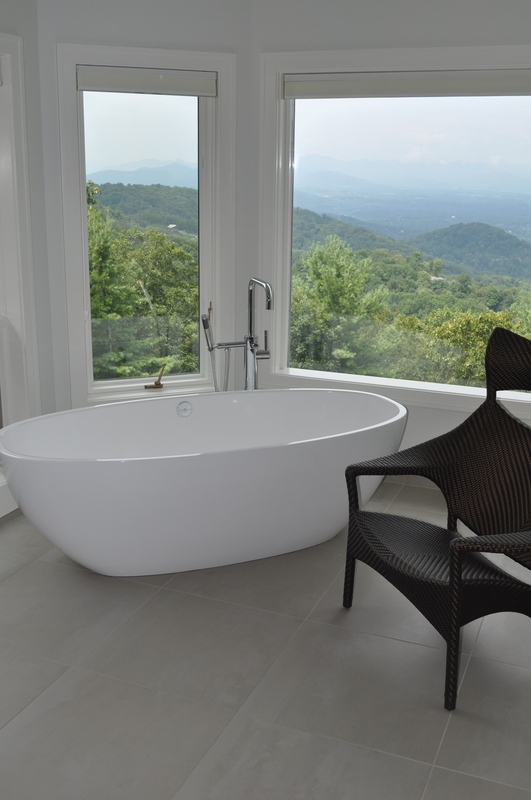 Contact Breitzke Carpentry LLC of Asheville, North Carolina today to discuss your bathroom renovation.